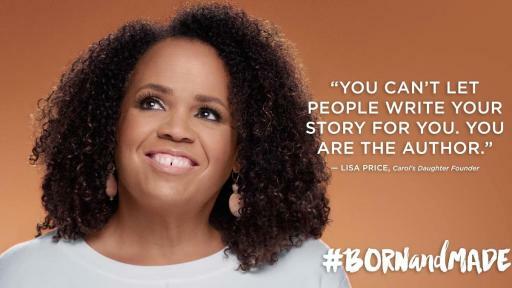 Last year, Carol’s Daughter introduced the #BornandMade campaign, a movement that took beauties across the world by storm! With more than 100K stories shared within 48 hours, it became the #1 trending hashtag on Instagram, and earned the beauty brand an esteemed Shorty Award. 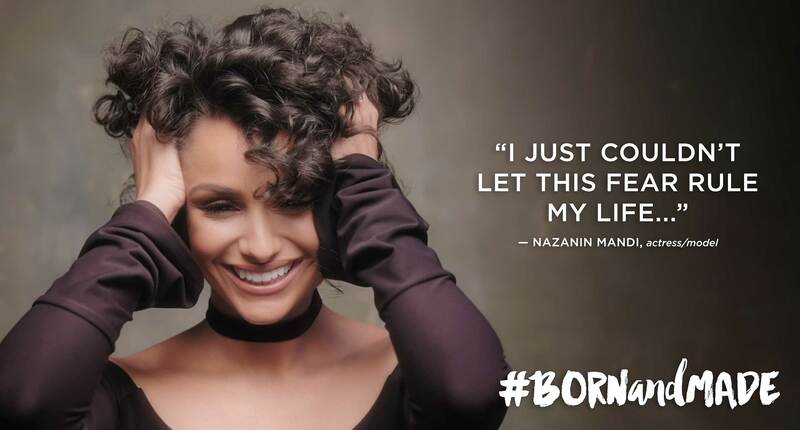 #BornandMade 2.0 is taking our stories to the next level, by asking women everywhere to rise up and speak about their powerful journeys – the stories that make them unique, passionate and fearless. You become the narrator of your own journey. Lisa’s story of passion started in her Brooklyn kitchen more than 23 years ago, and today, she’s still growing! Her beauty products – made with natural ingredients and lots of love – can now be found in stores nationwide! 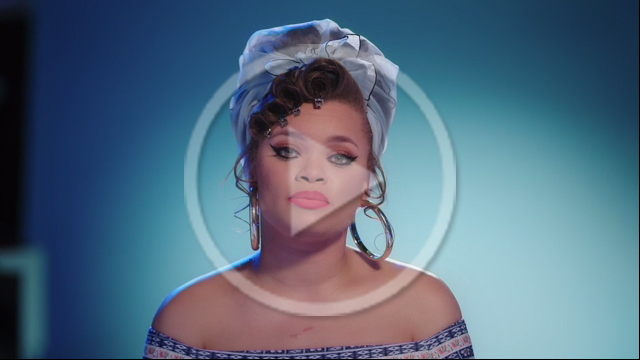 The campaign’s new journey starts with Carol’s Daughter introducing Grammy-nominated singer Andra Day as the voice along with Orange Is the New Black actress Dascha Polanco, and model Nazanin Mandi. This lineup of independent women, from all walks of life, tell their stories in a series of uplifting videos. 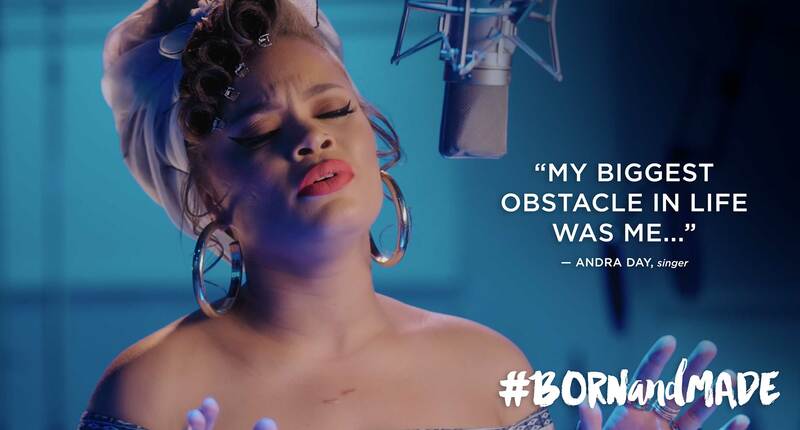 Then, fans will have the chance to share their own journeys on fun, animated gifs that highlight who they are #BornandMade to be in 3 simple steps! These personalized images are created on BornandMade.com and shared across all social media platforms. 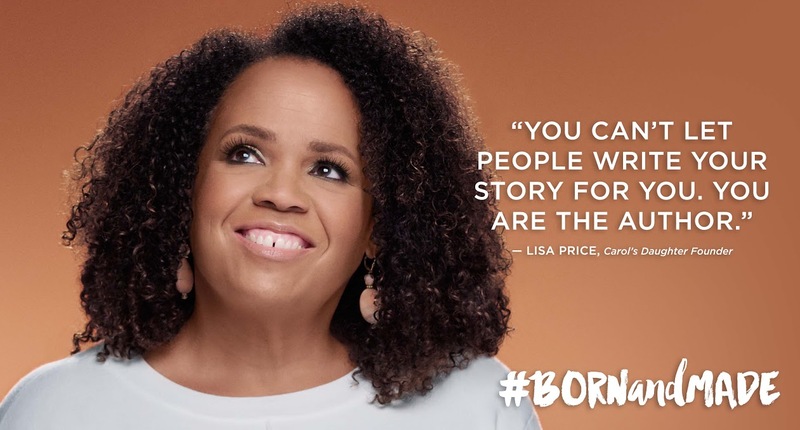 #BornandMade began when Carol’s Daughter Founder Lisa Price and I Am That Girl Co-Founder Emily Greener teamed up to grow I Am That Girl’s mission: to love, express, and inspire girls to be exactly who they want to be, not who they’re “supposed” to be. 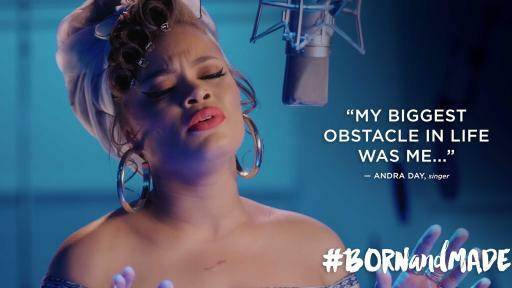 Celebrating Carol’s Daughter’s authentic story, “Born in Brooklyn. Made With Love,” this movement continues to build a diverse community of women with stronger voices. Learn more and become part of the movement today at BornAndMade.com! 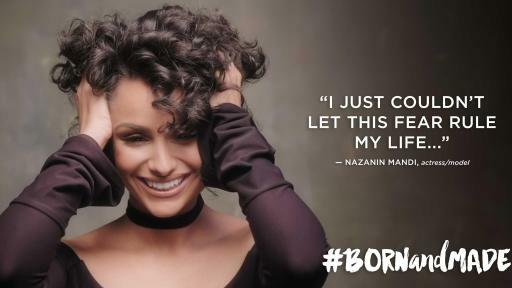 The #BornandMade campaign includes some of the brand’s most-loved product lines, like the Hair Milk Collection, the Black Vanilla Collection, the Hairdress Collection, Almond Cookie Body Collection and more. They are available at Target, CVS, Walmart, Walgreens, Sally Beauty and more, as well as CarolsDaughter.com.